Belk Spring Beauty Event 2019 and 3 New Beauty Bags from Ulta, Beauty Brands and Beauty Expert! Belk Spring Beauty Event 2019 has begun and it runs through March 31 only. During the event, get $20 off, free tote and also spring beauty GWPs from Lancome and Elizabeth Arden. There are 3 New Beauty Bags from Ulta, Beauty Brands and Beauty Expert! Belk (NEW) GIFT 1: FREE Tote with any $100 Beauty purchase. (NEW) GIFT 2: Plus, get $20 gift card with any $75 beauty purchase, get $20 Gift Card with any $100 beauty purchase. This post may contain affiliate links. Read the full disclosure. It’s Lancome Gift with Purchase at Belk March 2019 plus 15% off all Lancome. Morphe x Jeffree Star is available now at Ulta plus discount coupon and free gift. Also, new Walgreens, Sephora and Space NK UK offers. Belk (NEW) GIFT 1: 15% Off on Lancome purchase with code “42921884” or $15 Off Every $75 purchase on Other Beauty with code “67478155”. (NEW) GIFT 2: Choose Your FREE* 7-Piece Gift with $37.50 Lancome purchase. Worth up to $130*. This post may contain affiliate links. Read the full disclosure. *HOT* Black Friday Sale 2018 Live Now at Belk, Kohl’s and Stage Store Means Free! Belk, Kohl’s and Stage Store are among the many stores Black Friday Sale 2018 available now! Stage Stores offers free Toastmaster 1.5-qt. Slow Cooker after rebate or pay $9.99 (reg $30). Black Friday 2018 sale has begun Black Friday Doorbusters Online + Use code A25OFF2 to get 25% off Your 2 items or use code A40OOF to get 40% Off. This post may contain affiliate links. Read the full disclosure. 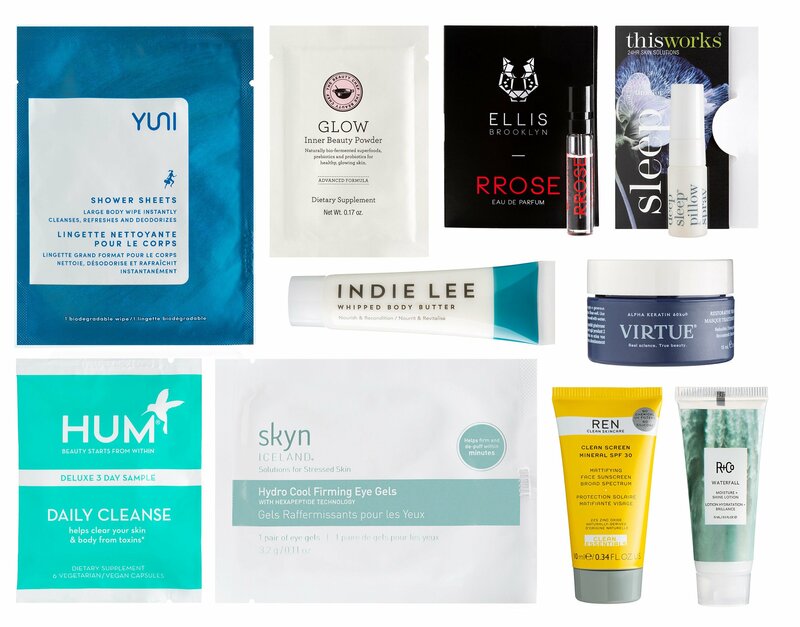 Choose 3 rare luxury deluxe samples for fall with $100 purchase at Bluemercury + more discount. Beauty Brands Holiday Friends & Family 25% off and 7 new holiday beauty boxes! ASOS USA is running 15% off everything including all beauty advent calendars. Finally, Belk has very sweet three Lancome GWP and Lancome beauty box offer! Enjoy! Bluemercury Gift Bluemercury (NEW) GIFT 1: This Week Only: Select 3 FREE favorite deluxe samples for fall with $100+ purchase. Valid 10.29 – 11.4. Combined with GIFT 2, 3 below. This post may contain affiliate links. Read the full disclosure. Top 9 beauty gift with purchase offers you must see today. Belk has new Estee Lauder Fall Gift with $37.50 Purchase + 12Pc Freebies, free palette, $20 rewards on $100 beauty purchase! Clinique Bonus Time at Macy’s with awesome step-up gifts for September – October 2018 only. Belk (NEW) GIFT 1: Choose your FREE 6-Piece Gift with a $37.50 Estée Lauder purchase. Worth up to $166. This post may contain affiliate links. Read the full disclosure. There are beautiful Clinique bonus gift and super step-up gifts at Dillard’s for fall 2018 collection and Lancome gift with purchase at Belk on top of 15% off all beauty. Plus, nice offers from Elizabeth Arden and Shu Uemura. Dillard’s (NEW) GIFT 1: For a limited time, receive a free 7-piece Clinique gift with any Clinique purchase of $29 or more from Dillard’s. Supplies are limited. This post may contain affiliate links. Read the full disclosure. I placed my order at Belk today! Double sitewide gift with purchase offers from Belk is a real deal! In addition, Belk is offering up 7pc Lancome gift with $37.50 purchase + 15% off Lancome, 8pc Elizabeth gift with $35 purchase, up to 50% off Labor Day beauty clearance and more. Macy’s has a great $165 worth of Estee Lauder fall gift with $37.50 purchase and step-up gifts available today. Plus, a little Nordstrom and Sephora updates. Belk (NEW) GIFT 1: FREE Clinique Intro Kit with ANY Beauty purchase. This post may contain affiliate links. Read the full disclosure. Weekends win: Nordstorm is having a high value gift with purchase from 111SKIN and now 111SKIN direct is running up to 50% off! Plus, new offers from Ulta, Sephora, Lancome and Elizabeth Arden fall 8pc gift with $35 purchase at Belk. NORDSTROM (NEW) Receive deluxe samples of Y Theorem Repair Serum NAC Y2 (0.34 oz.) and Celestial Black Diamond Cream (0.5 oz.) with your $250 111SKIN purchase. A $424 value. This post may contain affiliate links. Read the full disclosure.